On the Edge Promotions, Inc. welcomes you to the Scottsdale Elegant Home, Wine, and Food Expo. Founded in 2004, On the Edge Promotions produces consumer and trade events in California, Nevada, and Phoenix, Arizona. We attribute our success to a dedicated staff who truly are passionate about quality consumer events. 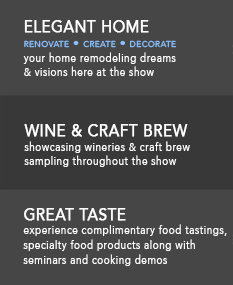 Our staff is excited to bring their traditional home show knowledge and pairing it with a wine, food, and craft brew tasting experience. This event has been over two years in the making, and we have finally found the perfect venue, a venue which understands our philosophy about offering consumer value-oriented show.